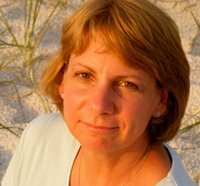 Dianna Graveman was a runner-up in the Winter 2009 Flash Fiction contest with her entry "The Sad Affair of Maxwell Weedon." She is a manuscript editor and former teacher who also loves to write. She has taught most grade levels from kindergarten through college. Dianna’s fiction and nonfiction pieces, several of which have won awards, have been published in the U.S. and U.K. She is co-author of a regional pictorial history, St. Charles: Les Petites Côtes, which was released by Arcadia Publishing in 2009 as part of its “Images of America” series. The story she submitted for this contest was inspired by a trip through the American West, an area she feels never fails to provide writing inspiration. Visit Dianna’s websites at www.dianna-graveman.com and www.gravemanbooks.com. WOW: Dianna, thanks for talking with The Muffin today and congratulations on placing in the Top Ten. Your short story, "The Sad Affair of Maxwell Weedon," has a lot happen in few words. Was it difficult to tell the story of Maxwell Weedon with a small amount of words? Dianna: This piece was actually an experiment. I haven’t written a lot of flash fiction, but the pieces that have been successful are ones that were originally longer and which I cut to fit the flash fiction word count. That was the case with this one. The longer version included dialogue, but my experiment was to rewrite this story in the style of narrative or literary journalism. After reviewing the judge’s comments and upon reflection, I think I would write it differently now. But I enjoyed the experience, and I’m honored WOW! chose it for the top ten. WOW: Thank you for sharing your process with us. That's very interesting how you cut a longer piece down into a shorter story by taking out the dialogue. I bet we could all learn from doing an exercise like that. In your bio, you said this story was inspired by a trip through the American West. What inspired you on your trip to write this story? Dianna: A historical marker stands along Colorado Highway 141 in the valley of Unaweep Canyon, southwest of Grand Junction. Beyond it, in the shadow of great Thimble Rock, is the remains of Driggs Mansion. According to legend, a New York lawyer built the mansion between 1914 and 1918 for the woman he loved, shipping chandeliers and other expensive items from England. She died before seeing it. Broken-hearted, the lawyer left the area and never returned. According to the Colorado Historical Society, however, the stone masons who constructed the building were from Italy, and the house was designed in Italian rural style. Lawrence Driggs’s original intention may have been to build a large hunting lodge; he sold it in 1923 to be used as part of a ranching operation. Of course, the legend is more romantic, and that became the basis for my story. WOW: Ah, yes, legends often are more interesting than the truth! (laughs) Have you been inspired to write any more stories or works from this trip? Dianna: Yes. I take at least one trip west each summer, sometimes two. Many of the experiences from those trips become stories: searching for wild horses in Wyoming’s Red Desert, stumbling upon a cabin built in the 1800s by a pioneer woman and her twelve-year-old daughter, traveling up into the Wyoming mountains to “see a cowboy about some mules.” I’m lucky to have good friends in rural parts of Colorado and Wyoming, who are willing to spend time showing me the “real west.” I have also been fortunate to have most of my western fiction stories published, and some have won awards. I’m heading west again in a few weeks, and I can’t wait to bring home another story. WOW: What great ideas to turn your vacation experiences into stories, and they sound very interesting! Congratulations on all your sucess. You have also co-authored a book with your husband about the history of St. Charles. Tell us about writing for Arcadia Publishing and how it was to work with your husband. Dianna: The people at Arcadia are great to work with; and in fact, we are currently developing three more books for them to be released in 2010: Missouri Wine Country: St. Charles to Hermann; Historic Hermann; and another on Washington, Missouri (title to be determined). My husband, Don, and I did learn some new things about the way each of us thinks. We tend to use different strategies to tackle the same task. And although we spend tons of time together on these projects, it is not leisure time. There is very little of that these days--with one book to promote and three more under development. WOW: It sounds like you've had a great experience with Arcadia Publishing and your husband, and we will be looking forward to the new books you'll have out next year. Three in one year--that's fantastic! What kind of marketing has been successful for your book? Dianna: Arcadia assigned us a publicist and regional sales team, but of course, they are working with many authors, so we still need to promote our book. We do as many book signings as possible, and we try to schedule them in conjunction with community events. People want to hear about how we secured these book contracts and obtained permission to use old photos, so we give talks and workshops. We make sure the venues have posters and flyers in advance. We engage in social networking, do blog and newspaper interviews, and submit news of upcoming events to local newspapers and to the newsletters of writing organizations. Arcadia sent press kits to most local publications, but I sent press releases to the others. When I found out Missouri Life magazine was doing a feature on St. Charles, I immediately sent them a review copy and asked Arcadia to make contact again, too. It worked: they reviewed the book. There are many other little things, including a postcard mailing we will do in advance of an event in August. We hand out our business card (with our website address) everywhere we go, and we always see a spike in the number of views at our site the day after an event. Interestingly, our campaign to obtain photos and information for the upcoming books has sparked continued interest in the book that’s already on the market. WOW: Thanks for sharing all that great information with us. It always helps to hear what authors are doing to promote their work and how it is working! What projects are you currently working on? Dianna: Besides the three new books for Arcadia, I am working on two middle grade biographies and an anthology of stories for Christian teachers. (I taught elementary and middle school for several years.) For one of these projects, I have a proposal under consideration with a publisher. For the other two, I have done the research and identified potential publishers; I plan to submit soon. Many other writing projects are in the queue; writer’s block is not one of my issues. WOW: It is great that you have so many projects underway, and we hope that you have the time to complete them all! You also work as a manuscript editor. Tell us about your job. Dianna: I am a full-time trade book and magazine manuscript editor for a Catholic publisher. Because our staff is relatively small, I have had the opportunity to learn about many aspects of publishing. It’s been a great education. I also teach narrative journalism in the MFA program at a local university, and I do some freelance copywriting and editing. When I make the transition to full-time freelance writer/editor, I’d love to also teach continuing-ed classes or writing workshops for seniors. I have a writer friend who does that, and she finds it tremendously rewarding. WOW: Thank you again, Dianna, and good luck to you with all your projects, plans, and goals. I am sure we will be seeing a lot of you!